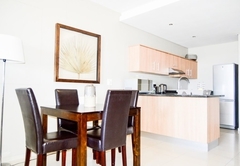 Infinity Apartments is a property providing self catering in West Beach for tourists visiting the Blaauwberg region. 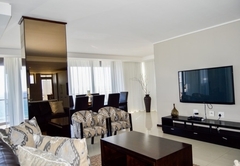 Infinity Apartments offers comfortable accommodation in Cape Town only metres from Blouberg beachfront, which is known for its perfect water sport conditions. The beach is rated as one of the top kite boarding locations in the world. 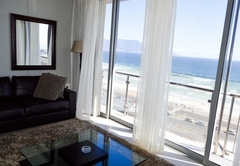 The apartments have views of Table Mountain, Robben Island and the beautiful Atlantic Ocean. 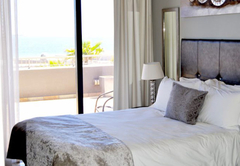 We have 36 luxury self catering apartments, comprising of one and two bedroom apartments or a four bedroom penthouse. 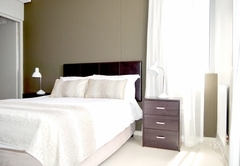 The suite has a large balcony and full en-suite bathroom. There is an open plan lounge and kitchen. 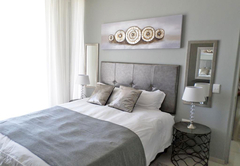 The apartments have one bedroom and a full en-suite bathroom. There is an open plan lounge and kitchen. The apartment has two bedrooms and an inter-leading bathroom (with bath and shower). The second bedroom has bunk beds. There is an open plan lounge and kitchen. The first bedroom has an en-suite bathroom with a bath. 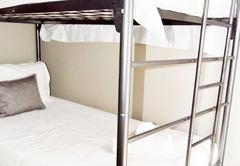 The second bedroom is furnished with bunk beds and has a separate bathroom with a shower. There is an open plan lounge and kitchen. The apartment has a large balcony. The main bedroom has an inter leading bathroom with a bath. The second bedroom has a bunk bed. 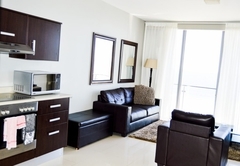 There is an open plan lounge and kitchen as well as a large balcony. 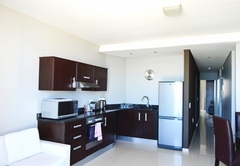 The spacious self catering unit has lovely views of ocean and Table Mountain. 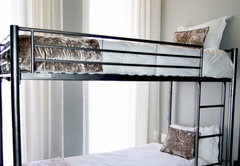 The suite has two Queen-size beds, bunk beds and two sleeper couches. There is an open plan kitchen / lounge with a dining area. The four bedroom unit has beautiful sea / mountain views. 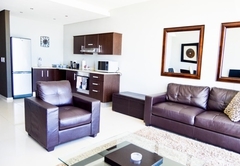 There are two lounges, a kitchen, Jacuzzi, bar area and braai facilities. 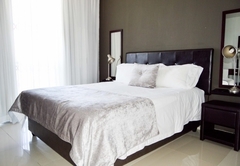 Bedrooms are furnished with either a Queen-size bed or a single bed and all bedrooms have an en-suite bathroom. 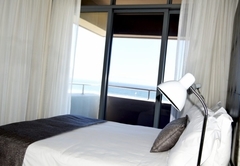 The spacious self catering apartment has views of the ocean and Table Mountain. 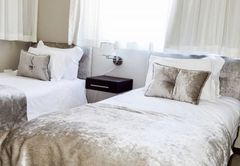 The suite has one Queen-size bed and two double beds. There is an open plan kitchen / lounge with a dining area. Offers a huge balcony, full en-suite bathroom with bath and shower. Open plan lounge and kitchen. 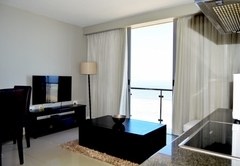 Views of Table Mountain and the ocean with daily cleaning service. One bedroom, full en-suite bathroom with bath and shower. Open plan lounge and kitchen. 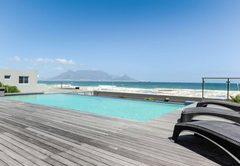 Views of Table Mountain and the ocean with daily cleaning service. Two bedroom apartment with inter-leading bathroom, shower and bath. 2nd bedroom has bunk beds. Open plan lounge& kitchen.Table Mountain and Ocean views. We offer daily cleaning service. 1st bedroom has en-suite bathroom(bath) 2nd bedroom a bunk bed. 2nd bathroom a shower. Open plan lounge& kitchen. 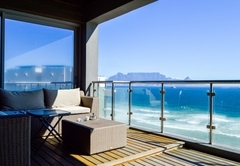 Large balcony & views of Table Mountain & the ocean with daily cleaning service. 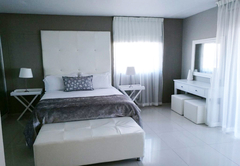 Main bedroom has interleading bathroom with bath. 2nd bedroom has a bunk bed. Open plan lounge and kitchen. 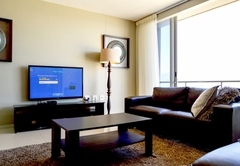 Large balcony with views of Mountain and ocean and daily cleaning service. 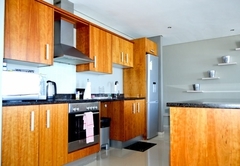 A spacious self catering unit with lovely views of ocean & table mountain. The suite has 2 queen beds, bunk beds and 2 sleeper couches. 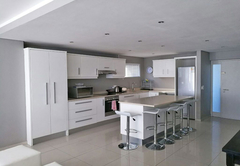 An open plan kitchen/lounge with a dinning area daily cleaning service. 4 bedroom unit has immaculate sea/mountain views. It occupies top floor hence unobstructed views. 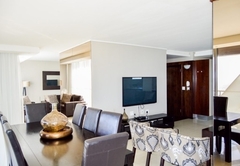 2lounges, kitchen, jacuzzi, bar area and braai facilities. 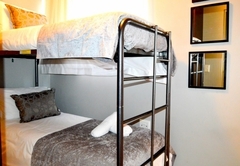 All bedrooms have en suite bath/shower, has 2queen & 4single beds. Daily cleaning service. 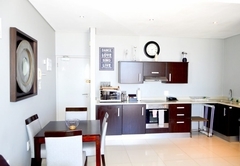 A spacious self catering apartment with lovely views of ocean & table mountain. 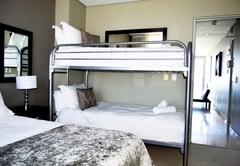 The suite has 1 queen bed, and 2 double bed. An open plan kitchen/lounge with a dinning area. Occupies 6 people sharing. Response timeInfinity Apartments typically responds to requests in 5-10 minutes.